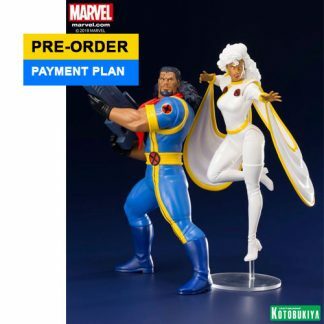 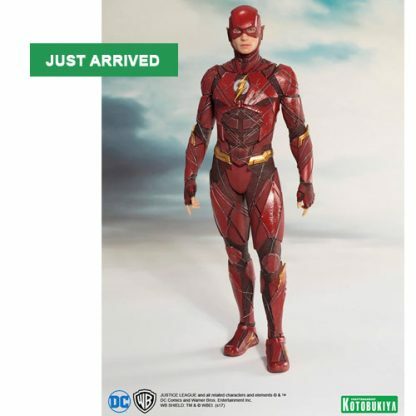 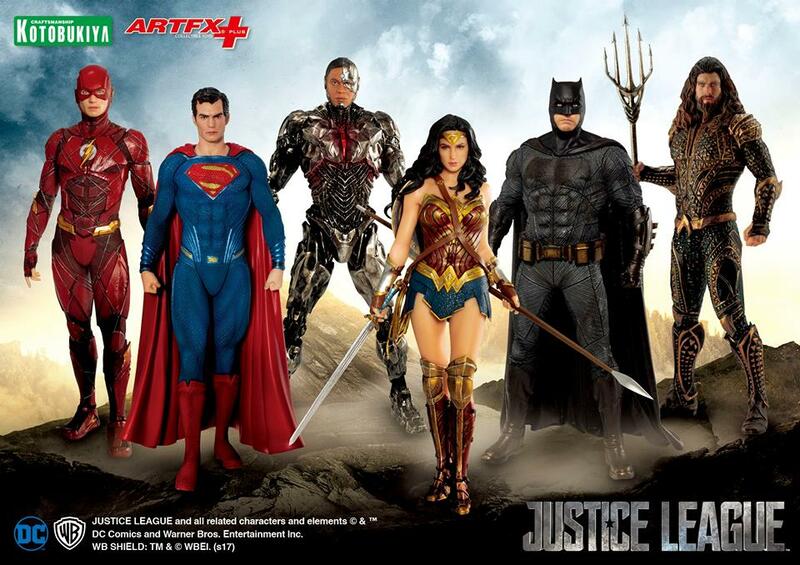 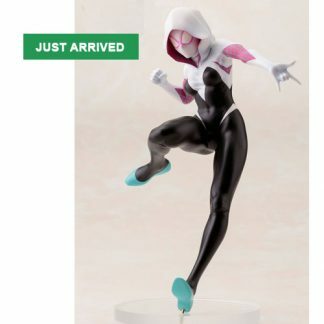 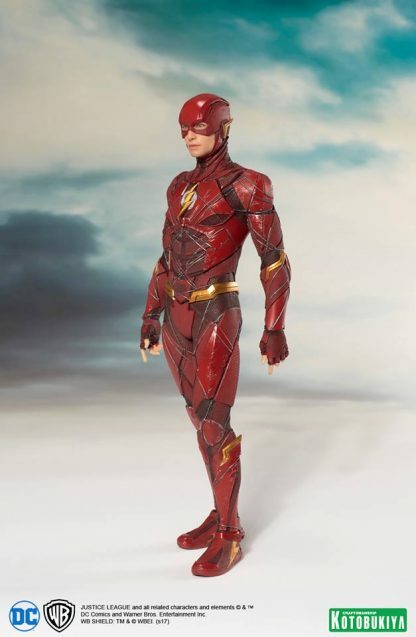 Flash stands at 1/10 scale with magnets in the feet for display stability on the included base. 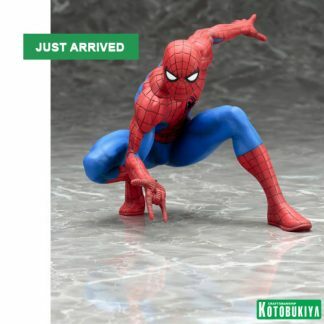 Although in the 1/10 scale, Flash is sculpted in precise detail only possible with Kotobukiya’s craftsmanship. 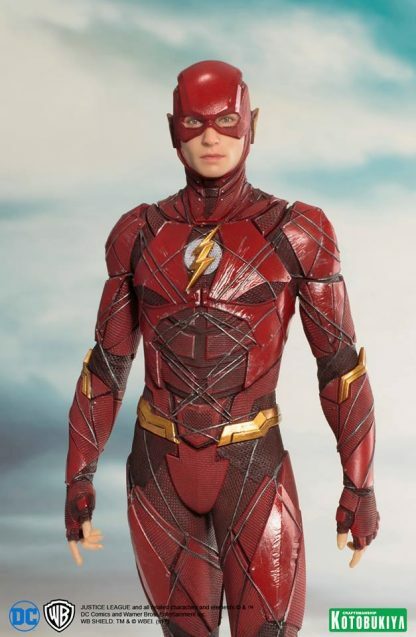 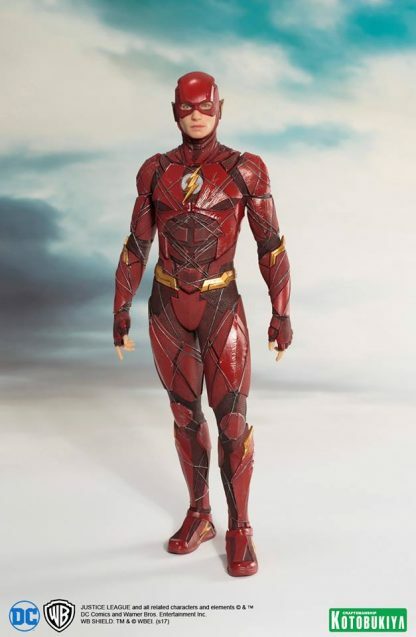 Flash is precisely replicated from his mask to the texture and color of his costume.